Walking your dog is an important way to get exercise and spend quality time with your pet. However, this everyday activity is not without risks. In fact, each year, people get seriously injured while out with their pets. Walking your dog in Homestead or your community can lead to trip and fall injuries, dog bites, and can even put you at risk for muggings. Many things can go wrong when you go out to walk your dog. You may encounter another, aggressive dog on your walk, you can trip over the leash, or your dog can bolt after a squirrel or other distraction, causing you to fall. If you are not careful, walking your dog when your dog has to head outside at night can also put you at risk of pedestrian accidents. Dog bites in Hollywood and Florida homes are a concern, especially during the holidays. With Thanksgiving just around the corner, it’s important to put a focus on animal safety, especially if you have children or will have children visiting your home. 1) Take your dog to the vet to get a checkup and get vaccines up to date. A dog is more likely to bite if they are ill or unwell. If a dog does bite someone, having vaccinations to date at least ensures that the pet does not spread illness. 2) Reduce holiday stress for your pet. Holidays are stressful for everyone – and that includes your pet. There are new people, smells, and sounds, and this can be distressing for a dog used to a quieter life. In your home, keep noisemakers to a minimum and introduce decorations gradually so that your pet can get used to them. 3) Use extra caution if you will be traveling with your dog. If you are traveling by car, keep your dog in a kennel or otherwise restrained. This not only prevents the dog from becoming a distraction, but if you are in a car accident in Hollywood, your dog has a better chance of surviving if they are restrained. Always follow your vet’s recommendations for travel; if your dog is a nervous traveler, your vet may recommend a sedative or other medication for your trip. 4) Consider keeping your dog away from holiday guests. If you are traveling to a holiday event with your dog or if you will be hosting a party in your home, consider keeping your pet in a separate room, away from guests. This will help reduce stress on your pet and will ensure that guests are not teasing the dog or feeding your pet table scraps. This is especially important if some of the guests at the event are children. Children are attracted to dogs but may not realize that they are teasing a pet. 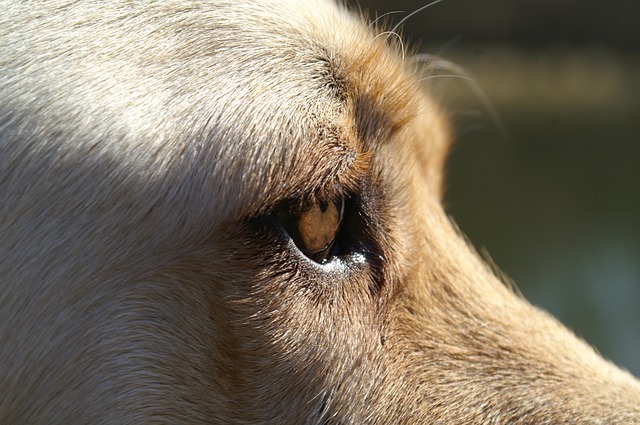 They may find themselves in a position where they sustain head injuries or other serious injuries from a dog bite. 5) Be aware that some holiday decorations and foods can make your pet ill. Anything that is small enough to be swallowed can be a danger to your dog and rich holiday foods can mean a sick stomach. Make sure that decorations and food are kept well away from where your pet can reach. 6) Keep your dog out of the yard if you will be getting unexpected guests and deliveries. At this time of year, many of us are getting extra mail and deliveries. Keeping your dog indoors and away from the front door can reduce the risk of a bite and a premises liability claim in Hollywood or your community. 7) Give your pet plenty of attention. This will help reduce stress for both you and your pet. Tale time away from your busy schedule to take your dog on a walk or just play in the yard. The exercise is healthy and can reduce some of the anxiety that pets can experience at this time of year. 8) Make sure your dog has obedience training. A dog that has taken obedience classes may be less likely to bite and may be easier for an owner to control. 1) If you have a dog, make sure that your dog is in good physical condition and is up to date on all their shots. A dog who is sick is more likely to bite and more likely to get agitated during the holidays. Take your dog to the vet before the holidays. Consider asking your vet how to keep your pet more calm during the holiday season. 2) Keep your home pet safe. Your pet is more likely to get into trouble if there are decorations and other interesting objects around the home that they can get into. Keep in mind that many holiday decorations are in fact unsafe for cats and dogs. Poinsettias and other seasonal shrubbery, for example, can make an animal sick if ingested. Tinsel and other decorations can also cause severe problems if an animal swallows them. Keep your decorations high enough so that your pet cannot get into them or find pet safe decorations for your home. 3) Find out which friends and family you are visiting have dogs and pets. This allows you to prepare. If you know that a friend has a large dog, for example, and you have small children, you may wish to speak to your friend before any holiday parties to make sure that there will be no risk of bites. 4) Use extra vigilance when it comes to children and pets. Children are often attracted to dogs and cats and may inadvertently tease them, leading the animal to bite. Children are also more likely to suffer severe or serious injuries from animal bites – including Deerfield Beach head injuries – because they are smaller and therefore more likely to be seriously injured. If pets are present, it is important to supervise children at all times or to separate pets and children so that the children cannot approach the dog or cat easily. 5) If you have a pet, consider locking it away in a separate part of the home when you are expecting company. This is often the simplest solution and ensures that your pet is not stressed out and does not get a chance to bite anyone. You can place your pet in a separate area of the house entirely – such as a basement – or in a separate room. Make sure your pet has enough food, water, toys, and a way of going to the bathroom. Check on your pet periodically during your holiday event. Provide your pet with extra attention before and after the party so that they feel less stress and anxiety. 1) Teach your children about pet safety. One of the best ways to prevent dog-related injuries to children and teens in South Miami is to teach your children about pet safety. Teach your children not to approach strange dogs or any pets that are sleeping or eating. Discuss what animals and pets look like when they are scared and teach your children to avoid running away from dogs. Show your children how to slowly back away from an aggressive animal and how to seek help. 2) Supervise children when they are outdoors. While there are laws in place to ensure that pet owners do not allow their dogs to roam freely through any parks or communities, not all pet owners abide by these by-laws and in some cases dogs do get loose and roam. Supervising your children – even if they are only in your yard playing – is a good way to prevent many types of South Miami personal injuries, including dog bites. 3) Be wary about letting children wander in green spaces and parks. Some pet owners do allow their dogs to roam in parks, even in parks where dogs are supposed to be on a leash. In addition, children sometimes run up to dogs that are on a leash in parks, and this can frighten an animal and cause it to bite. 4) Keep the family pet well-trained and in good physical condition. If you have a family dog, take it to obedience classes and get regular check-ups to ensure that the dog is not ill and therefore aggressive due to pain. Training your dog well ensures that your dog is less likely to bite your child. Having your child interact with a well-trained pet can also teach your child animal skills that can help them avoid a dog bite. 5) If you don’t have a pet, consider having your child spend some supervised time with a well-behaved dog belonging to a family or friend. Some interaction time can help your child get over any fears and can help teach them how to interact safely with an animal. It can also be a great way to teach them the basics of interacting with dogs – basics such as asking an owner before approaching a pet. 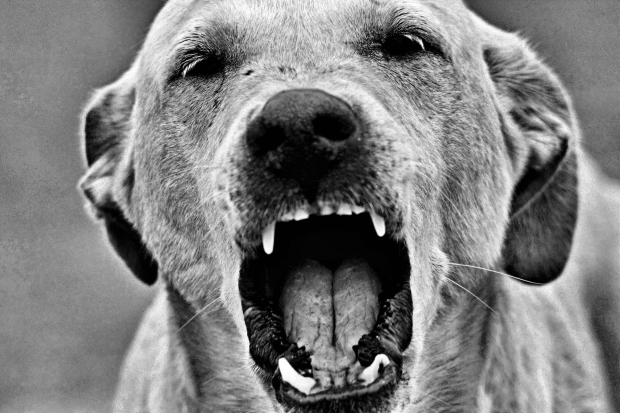 In October, two dog bite incidents have shone the spotlight on Broward County personal injuries resulting from animal attacks. In the latest incident, Nicholas Garvey, an eight-year-old, was attacked by what the media are describing as a pit bull-type canine – the same type of dog which attacked a child in the region earlier in October. Pit bull type dogs can be a mix of breeds or can be purebred American Staffordshire terriers. The latest dog bites have renewed the debate about what causes Deerfield Beach dog bites and animal attacks across Florida. Some people believe that certain dog breeds are more prone to biting. In fact, Miami-Dade County has a ban against pit bull type dogs, a ban Garvey’s mother would like to see enforced in Broward County. Those who support such bans believe that aggression in bred into certain dog breeds and that dog bites are inevitable when such dogs are allowed to interact with children. Indeed, statistics suggest that children are more likely to be affected by dog bites than adults. Part of the problem is that children may have fewer skills to deal with an aggressive dog. Children may also be naturally attracted to a dog and may approach a strange animal or even tease it, increasing the risk of an attack. Unfortunately, children are also more likely to suffer serious injuries as a result of dog bites. Since children are smaller, dogs can more easily reach the neck and head area, inflicting serious injuries. Some Deerfield Beach head injuries result from dog attacks, and these injuries can result in permanent medical issues for the victim. As well, experts note that children are less able than adults to defend themselves from an aggressive dog. At issue in dog bite situations is also whether the dog itself or the owner is at fault. Under Florida law, pet owners are held liable if their pets attack others. Some experts also believe that owners can do a great deal to reduce the risk of dog bites. Socializing a dog correctly, taking a pet to obedience classes, properly restraining the dog at home and in public, and regular vet visits can all reduce the risk of attacks. Since there is so much that pet owners can do to make a dog less dangerous, some people believe that it is dog owners who are responsible when a dog bites. Incorrect training and poor care can make any animal more aggressive. Individuals also argue that dog owners know when their dog is dangerous and should take steps to keep others safe while seeking vet advice or obedience lessons to reduce the risks. Unfortunately, Deerfield Beach dog bites and dog attacks across the state are unlikely to disappear overnight. These attacks, which usually have child victims, can result in permanent scarring, broken bones, and even permanent brain injury. In some cases, child victims of dog attacks do not survive the attack. The long days of summer mean more children out and about – and more pet owners enjoying the sunny days with their best friends. However, more pedestrians and more dog owners out together can also mean a greater risk of dog bites. 1) Take your pet to the vet regularly. Dogs are more likely to bite if they are ill or in pain, and regular visits to the vet ensure that your pet is healthy and therefore less likely to bite. Good communication with your vet also ensures that your dog has all the necessary vaccinations needed to keep your pet and your community safe. 2) Never allow your dog to roam without a leash. If your pet is free in the yard, make sure that children do not have easy access to the yard. If you take your dog for a walk, keep him or her on a leash to prevent him from running after children or people. If your dog tends to nip or has any behavioral problems, place a muzzle on your dog as well until you can get help from an obedience specialist. 3) Get your dog socialized. Get your dog to spend time with other dogs – either at a dog park or with other pet owners. Dogs who are well socialized may be less likely to bite, according to some specialists. 4) Get obedience training for your pet. One of the best ways to prevent dog bites is to get your pet into obedience training as soon as possible and to consult with training specialists until your dog obeys you faithfully and does not show signs of nipping or any aggression (even play aggression). If you have a child and are worried about dog bites, it is important to teach your child about dogs. In many cases, children scream or run from a dog, which can provoke an attack. Some children will also approach or even tease strange dogs, unaware of the danger of this behavior. If you can keep a dog in the home, this can be a good way to teach your child about the correct way to care for a pet. If you do not have a dog at home, consider spending time with friends who do own dogs, so that your child can get used to the right way to approach an animal. Teach your child to never run away or provoke an animal, as well. 1) Never approach strange dogs. 2) If a dog is off a leash and approaches you, do not run. Face the animal and back away slowly. 3) If you are bitten, get information about the dog and owner, if you can, and get immediate medical attention. 1) Check the injury for bone damage, tendon injury, nerve damage, and infection. In some cases, you may need to return to be checked for infection, since in many cases signs of infection do not develop for a few days. Redness, swelling, excessive fluid buildup, and pus can all be signs of infection. If you notice these after a trip to your doctor, you may need to visit a doctor again. 2) Clean the wound. Your doctor may need to remove damaged tissue while cleaning the wound. Usually, he or she will use a special solution which will help prevent infection and will help remove pus, fluid buildup, animal saliva, and other debris that may lead to infection. Animal bites are a leading cause of injuries to children and minors, but they can cause serious injuries in adults as well. Animals bites most often occur when a child is unsupervised around a pet. In most cases, children are bitten by pets they know and have safely spent time with before. Unfortunately, pet bites can pose a serious danger for small children and can even be fatal. Dog bites in small children can lead to brain damage, broken bones, and serious lacerations that require surgeries and cosmetic correction. Even cat bites can leave serious scarring and can easily become infected. When small children are bitten by an animal, it is imperative to take them to a hospital, where they can be properly evaluated. Both children and adults should also visit an emergency room in the event of a biting by an unknown animal. Rabies treatment is most effective when initiated quickly and any unknown animal may be carrying a disease. Proper evaluation and early treatment are a must. You should also seek immediate medical attention if the person who has been bitten has a condition – such as cancer, AIDS, lung disease, diabetes, or liver disease – that makes them susceptible to infection. Seek medical help if the wound is gaping, deep, or oozing pus. If you have not had a tetanus shot for five years, you may also need some immunization to prevent complications. Many dog owners who have a pet with a biting problem get overwhelmed and frustrated. They know that they are responsible for preventing dog bites and the personal injuries these bites cause, but they are not always sure how to do this. Stopping dog bites, however, is possible. It begins with a careful observation of the dog. Dog owners should carefully observe their pet. Does the animal act frightened or scared? Does the pet behave a certain way of behaving just before attempting to bite? Does the dog show any symptoms of illness? Take notes if you can of any behaviors you notice with your dog. Even seemingly unrelated behaviors may be a clue. Pet owners who have a dog that bites should see their vets at once. Vets are often the first line of defense against biting because in some cases biting problems are caused by a physical problem or illness. Treating that problem takes care of the biting problem as well. Even if this is not the case, vets are often familiar with biting problems and can generally recommend local pet trainers and other professionals who can help with behavioral problems. As well, vets can ensure that your pet is healthy. If your dog bites, this is important, since your dog can transmit some illness through their saliva.